It’s not surprising to me that Gwen Stefani and Blake Shelton are still together. These two could fit into my ‘random celeb couples’ category because a few years ago, they would have made absolutely no sense on paper. In 2018, when everything is backwards and nothing is logical, Gwen and Blake have emerged as a couple that actually makes complete sense. Short, sweet and only slightly nauseating. I like that Blake’s words focused on the work Gwen has put in to the show and have nothing to do with him. Justin Timberlake, take notes. In a recent interview with Sunday Today, Blake said that they both initially thought the relationship was going to be a quick rebound. Yeah, us too. “I think in the back of our minds we both kind of thought; "This is a rebound deal because we're both coming out of a pretty low spot in our lives and we're kind of clinging to each other to get through this"
Three years later, Gwen and Blake are still solid. So solid that she’s got an entire wardrobe change inspired by Blake. 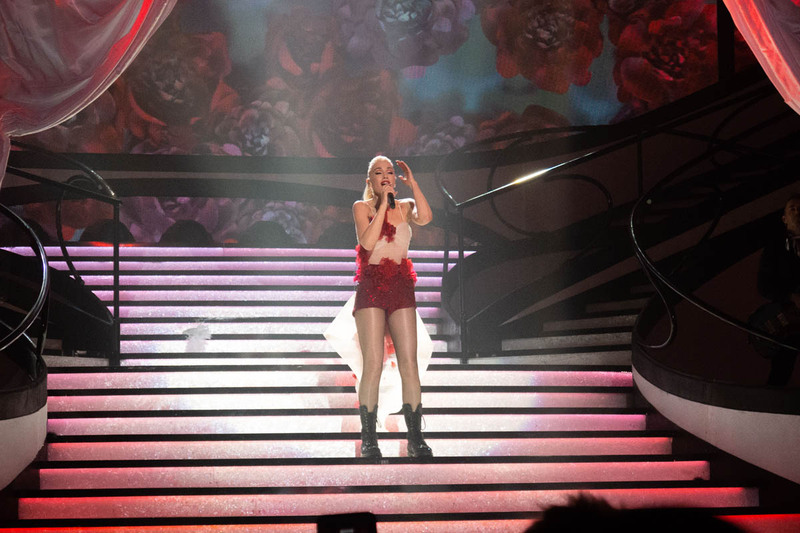 Photos from the first night of her Vegas show reveal that there’s a fringe-heavy cowgirl outfit near the end of her set. Again, this only barely makes me want to upchuck my breakfast. 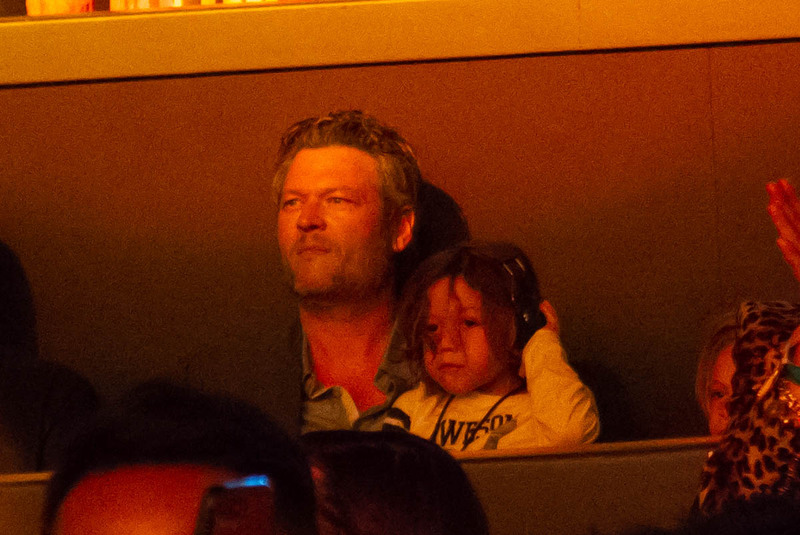 Blake was there opening night sitting in a booth with Gwen’s son Apollo (as Lainey pointed out, Gwen and I both have sons named Apollo – mine just has four legs and more hair). At one point in the night, Apollo climbed onto Blake’s lap and I have nothing snarky to say. The pictures are adorable. They cement Blake’s status as Maria wrote last year, the Perfect Step Dad and Saviour Of Divorced Women. As for Gwen’s Vegas residency, I don’t like thinking about it because it makes me feel old. Her set list is pure nostalgia. She does “Spiderwebs” and “Sunday Morning.” SUNDAY MORNING. God, I loved that song so much. Gwen also does a cover of Rihanna’s “Umbrella” no one asked for and thankfully, as far as I can tell, there are no Harajuku Girls. 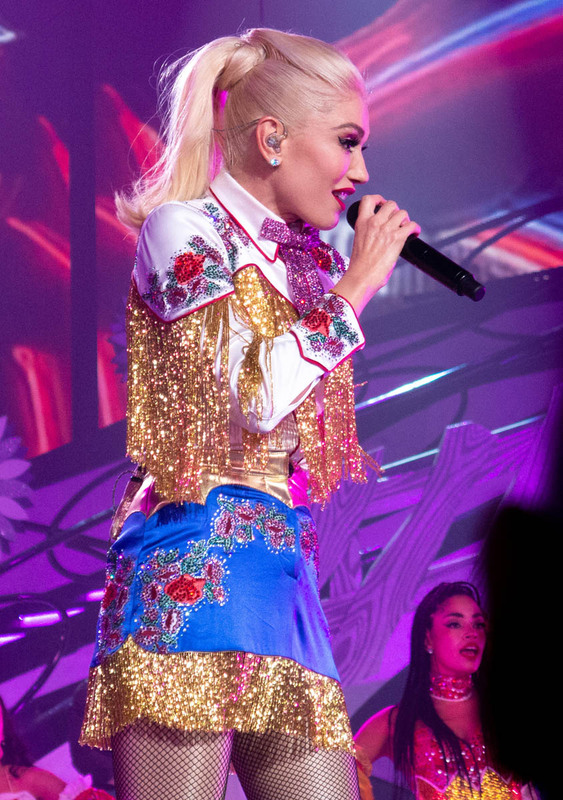 Scrolling through pics of Gwen’s opening night in Vegas, which seems aesthetically kind of random, makes me wonder who Gwen’s fan base is now. Is it older millennials who grew up with No Doubt? Is it Gen Zers who know her from “Hollaback Girl?” Does she have a whole new country demo because of Blake? Is that who now shows up to her shows? 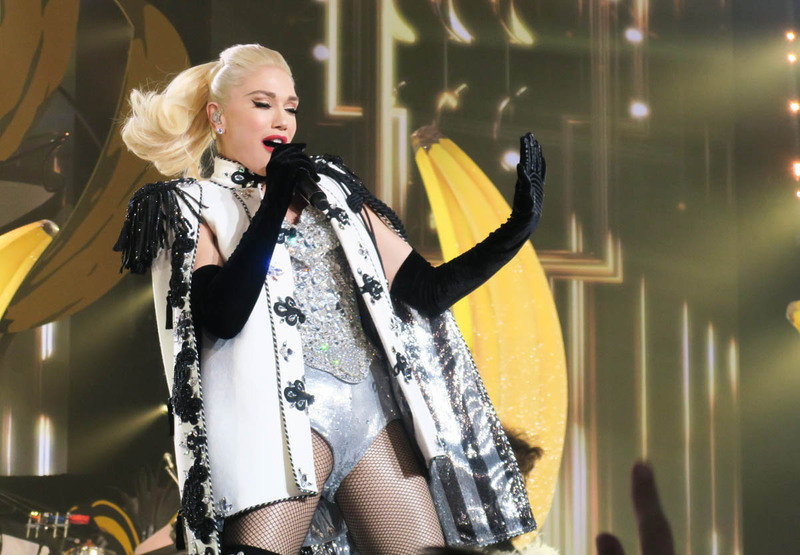 Does any of this make you want to fly to Vegas to see Gwen’s show? I wonder how her turnout compares to JLo’s or Britney’s or Mariah’s. 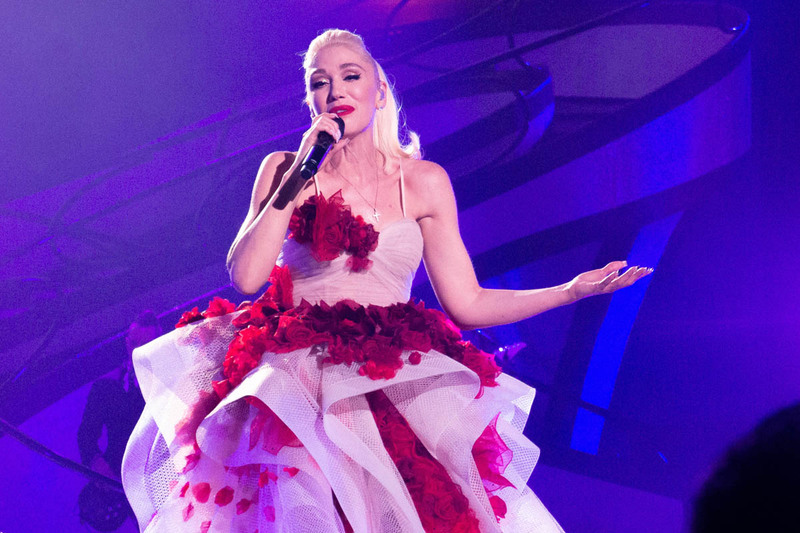 Gwen’s is the show you go to if you can’t get tickets to the other three, right?